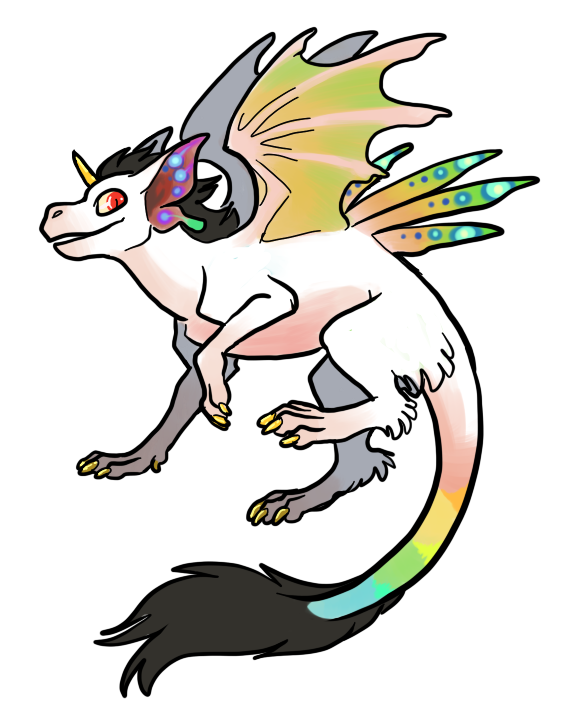 A young prismtail dragon. He's flighty and jovial with being just a hatchling. What kinda shenanigans shall he get into once he grows?